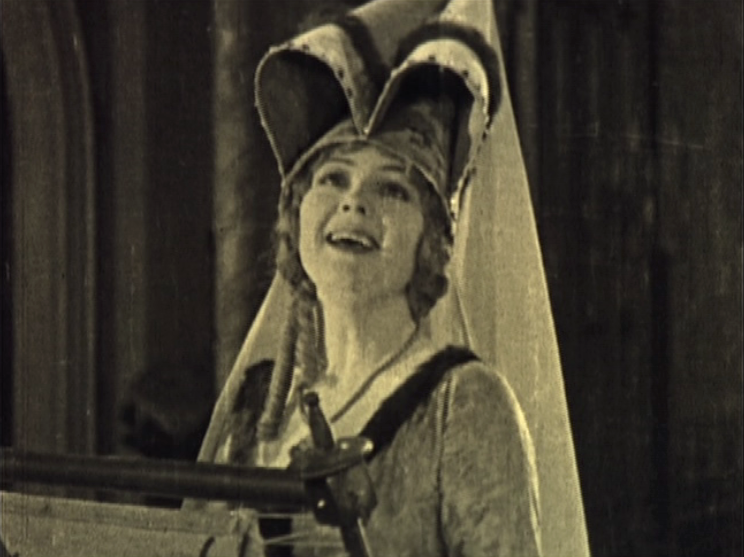 In my Gringoire review, I said that the 1923 version of Hunchback adhere too much to the book that is it is detrimental to the film and while it’s true with Gringoire, it’s even more true with the addition of Sister Gudule. Her being in this movie makes not sense to anything and it doesn’t add anything to the story. Ok, if you have read the book you would know who Gudule is. She is Esmeralda’s biological mother and is a french women from Rheims. 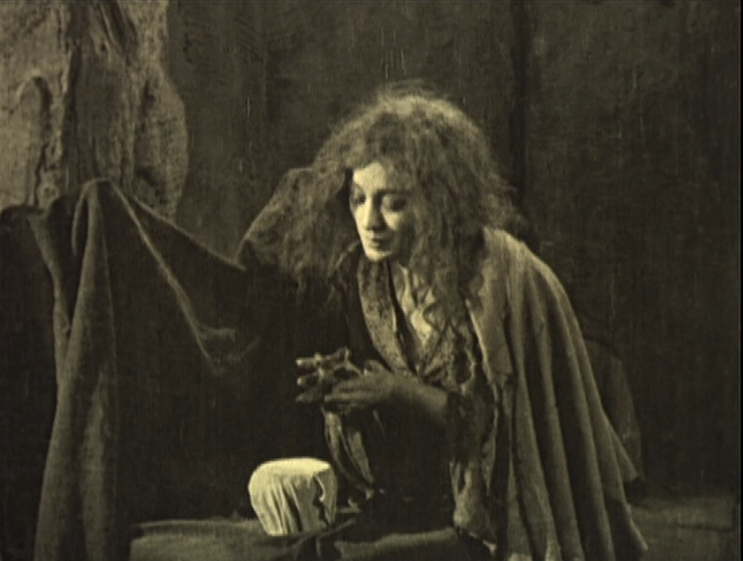 She is in very few versions of Hunchback since she takes some of Esmeralda’s mystery away. However, in the story Gudule is part of the whole dark/tragic destiny theme. 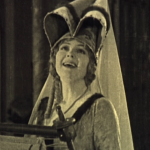 In the 1923 version she adds nothing. So what does Sister Gudule do in this movie apart from nothing? Like in the book she is a recluse who lives in a basement. She hates Esmeralda and yells at her through a window. Shortly after she is introduced we’re are given her backstory about how her beloved little daughter was stolen by gypsies and how she prays for her child’s return while her child’s little shoe to comfort her. Unlike in the book, Gudule was a noble and gave Esmeralda a necklace which Esmeralda still wears. So Esmeralda is really a noble this whole time. The next time we see her she is yelling at Esmeralda while Quasimodo is being whipped and we see Esmeralda is afraid of her. She tells Esmeralda that she should be whip instead of Quasimodo. The last time we Gudule is when Esmeralda is being taken to be hanged. She runs up to the wagon and grabs her and manages to pull of Esmeralda’s necklace. She then realizes that it is the same necklace and instead of thinking that the gypsies stole off her daughter and gave it to another little girl she just happens to know that Esmeralda is her daughter. She tries to help by walking a few paces but then dies. And that’s it. The mere fact that Esmeralda is never made aware of her mother makes Gudule pointless to the story. It’s all build up for a necklace and a scene where a woman dies. More than that Gudule scenes can be edited out so easily. 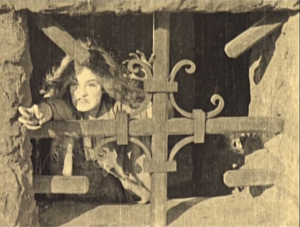 If you look at the Gudule part during the pillory scene, Esmeralda walks in and Gudule yell at her. Esmeralda walks off in a panic but in the very next shot Esmeralda is calm, like whole interaction never occurred. 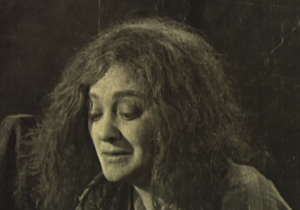 Maybe Gudule yelling made her empathic to Quasimodo but she was empathic already as evident by her saving Gringoire. So she does nothing. She just pads out the movies. If the movie had a more tragic tone she might have worked but the movie isn’t tragic. To be fair maybe in 1923 this film was a considered a tragedy which would justify Gudule but it’s also considered a horror so I guess this movie has some genre confusion. Either way Gudule was wasted. I just have a few questions about Esmeraldas mother Paquitte. In the novel she is described as beautiful, sweet and loving. But how come no one loves her back? I mean without the sexual attractions. Friends! Real friends?! Yes I know, she was a prostitute and no “decent” woman wanted to be near her, but she couldn’t have the only one prostitute in the town or the only girl with this unfortunate fate! When Victor Hugo gives her so much excellent qualities, why is no one there to help her? I mean just a little?! And then Esmeralda, except for her goat Djali, was there someone who even really cared about her?